Carnival Corp. CEO Arnold Donald and Royal Caribbean President Adam Goldstein report on hurricane recovery and cruising in the Caribbean one year after the 2017 storms. 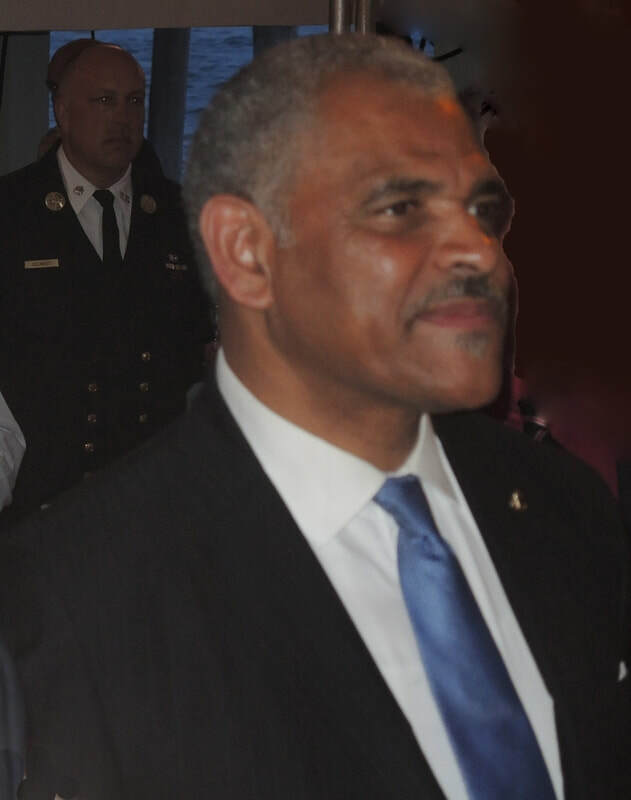 On September 20, 2018, Arnold Donald, CEO of Carnival Corporation, and Adam Goldstein, Vice Chairman of Royal Caribbean Cruises Ltd., met with the media to give a report of the state of the Caribbean nearly one year after the devastating hurricanes of 2017. The reason the two executives came together to talk about the state of the Caribbean is straight forward. “The Caribbean is not just the largest market for cruise vacations, it is also one of the most popular destinations in the world. It is a truly unique part of the world with unmatched beauty, fascinating history and vibrant cultures that millions of people love to visit and explore. In fact, in this year alone, we have eight of our brands visiting 58 ports in 28 countries and territories in the Caribbean and that is a total of more than 5,000 port calls.” Mr. Donald began. Some of the most popular islands were affected but those islands are well on the road to full recovery. “One year post storms, the affected ports are basically back to business as usual. There is still work going on around the destinations, but the offering to the guest is fundamentally intact. First, from a deployment standpoint, every port is back in operation receiving cruise ships. Customer satisfaction is at normal levels and in some cases better than it was a year ago. Port infrastructure is in place except that in St. Croix, one of the two berths is not in service but everything else is in service.” Mr. Goldstein reported. “Things are much brighter for those few destinations that were impacted; the result of lots of hard work and support and the spirit of the people living in the Caribbean. Their strength and determination have led to remarkable recovery for those few destinations that were impacted,” Mr. Donald added. The cruise industry played an important part in the recovery, donating millions of dollars and providing services to the affected destinations. “There is obviously a symbiotic relationship between the long term health of the Caribbean and the long term health of the cruise industry. It is the number one cruise destination in the world. One of the things that we all have realized is that we have a social responsibility to assist with the fabric of the Caribbean If we want to be providers of great cruise experiences 10, 20, or 50 years from now, this is something we should have a positive impact on with our foundations, charitable programs and efforts of our phenomenal people. There are a lot of things that the cruise companies did that are not very easy to put a value on. The industry did a lot of work under extreme circumstances in the aftermath of last year's storms. It was the right thing to do.” Mr. Goldstein explained. “Of course, [the industry's actions] will allow us to be even more successful because the people [of the Caribbean] will feel good about the industry, will welcome the guests, welcome the industry. This gives us the opportunity to take people to these great places and so generate profits that get returned to our shareholders. But it is not like we are going to spend this nickel today on this school because we expect to get a dime back later today. To be a successful corporation and maximize the return to your shareholders, you must be a good corporate citizen. The fact is that if you expect to be in business for more than a short time, you need to do the right things. We don't even look at it as an investment. We just look at it as the right thing to do. ” Mr. Donald commented. 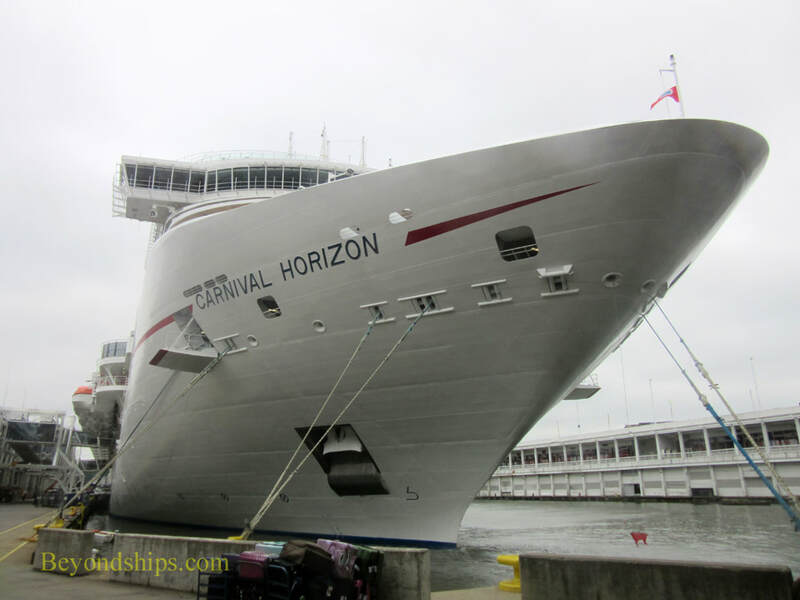 Betting on the Caribbean - - Carnival is deploying its newest ship, Carnival Horizon (above), to the Caribbean for the first time this fall. 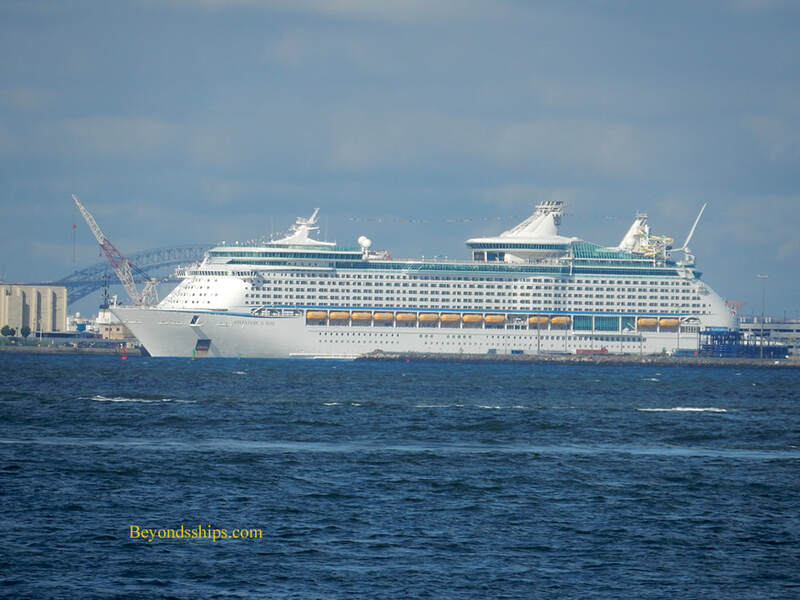 Royal Caribbean's Adventure of the Seas (below) will be returning to the Caribbean after spending the summer in New York. 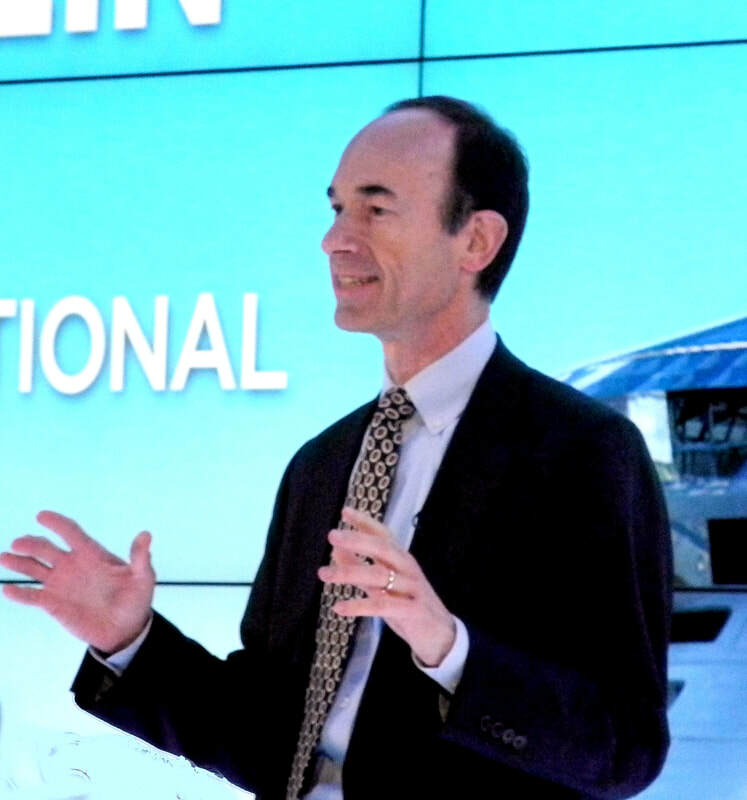 Above: Adam Goldstein, President and COO of Royal Caribbean. “Since last year, we have been much more proactive as an industry in working with the destinations to make sure that they incorporate the lessons that they learned to contribute to the destinations being even more resilient than they were a year ago. It is clear in talking to public officials that oversee these destinations, they are not aiming to be where they were before the storms, they are aiming to be where they want to be in the future.” Mr. Goldstein noted. Despite last year's storms, the cruise industry has no plans to de-emphasize Caribbean cruising. “The Caribbean is expansive, there is no reason to even think about going anywhere else. There were only a handful of destinations out of about 80 that were impacted so there is no reason to take people away from the Caribbean. Our ships sailed full during the storms last year, they are sailing full now. They are having great times in the destinations. It continues to grow as a destination in terms of the number of guests.” Mr. Donald said. Should people be concerned about being on a ship during a hurricane? “The people in the industry are highly trained. They are in a maritime environment and they have to be ready for anything and everything.. Safety is not even an issue. The ships are not in the storms. We sail away from storms.” Mr. Donald answered. “The great advantage of our industry is that if the weather is bad, we take you to another place. There is no other sector of travel that can do that.” Mr. Goldstein observed. Click here for the interview Messrs. Donald and Goldstein gave in 2017.